At Outskirts Press, we like to keep a finger on the pulse of the book industry. The Bologna Children’s Book Fair is going on right now, with more than 600 journalists representing 70 countries reporting on the event––and Outskirts Press representatives are there too, showcasing our authors’ work. Children’s book authors know that by participating in this huge event, they can connect with over 4,500 trade representatives and secure foreign rights for their book. 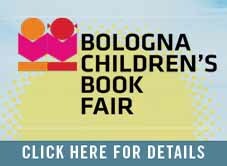 As a self-publishing children’s book author trying to launch a successful writing career, you cannot afford to miss the Bologna Book Fair! Do you want children across the globe to enjoy your book? Better get signed up for next year’s event! By arranging exhibition through Outskirts Press at the Bologna Book Fair, your book will receive valuable, face-out exposure on an exclusive shelf with four other Outskirts Press titles. A representative will be on hand to personally answer questions about your book. All inquiries we receive related to your book will be forwarded directly to you for personal follow-up. Don’t miss out on this valuable opportunity. Reserve your spot in next year’s book exhibit now and get your book in the hands of children worldwide. Outskirts Press does all the work, and you reap all the benefits. And if you really want your book to go global, give it a boost in 2017 by showcasing it at four major international events—without ever leaving home. The Outskirts Press Global Book Tour package puts your book in front of industry leaders, literary agents, book buyers, and customers at FOUR major events: the London Book Fair, Book Expo America, the Beijing International Book Fair, and the Frankfurt Book Fair. Outskirts Press handles all the details and represents you and your book at each event. Imagine having a personal assistant who can sell a potential buyer on your book halfway around the world!